By now, you probably can recite the statistic without even thinking: 68 percent of American women wear a size 14 or above, which—by mainstream sizing standards—is considered "plus size." Many of those women have a hard time shopping. Much like tall women, the outliers beyond the 0-12 sizescape struggle to find their fit in brick and mortar stores. New York fashion startup Universal Standard has been working to reframe the way we think about size by championing "inclusive sizing." No petites, no "straight sizes," no plus: just clothes, sizes 6-32. Now, J. Crew is teaming with Universal Standard to bring inclusive sizes to its website and stores, including its Westfield San Francisco Centre location. A rep for J. Crew tells Rockyt, "J.Crew partnered with Universal Standard to glean best practices as they work to perfect their approach to size and fit across much of the brand’s assortment this summer and fall. The collection leverages Universal Standard’s highly technical approach to micrograding by size to ensure that each design is tailored for the real, diverse spectrum of the American woman. This is J.Crew’s first step towards taking down the barriers that keep tens of millions of women from participating in style. We know this is overdue." The collaboration also kicks off a broader sizing roll out for J.Crew. This summer and fall, there will be more J.Crew styles in additional sizes as the brand works towards inclusive sizing across categories. The initial 37-piece capsule, launching on Tuesday, July 10, will include a range of tops, dresses, skirts and pants sizes XXS-5X, priced $50-$150. 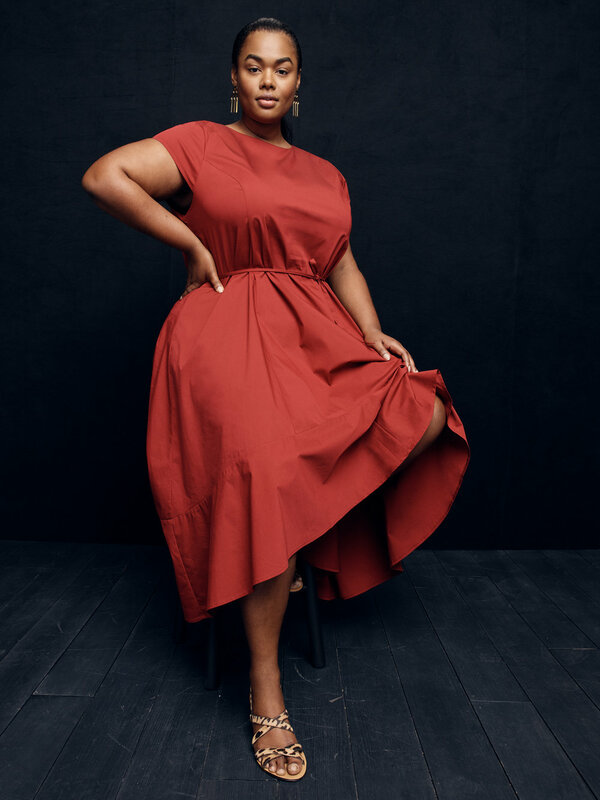 “We’re honored to have partnered with Universal Standard, experts in the field, on this collection which kicks off a much larger roll out of extended sizes, new fits and fabrications across the brand," Lisa Greenwald, J.Crew Chief Merchandising Officer, said. "We’re on a mission to make great style available to everyone." Browse the first J. Crew inclusive sizing launch below, and shop it online today and in stores July 16.